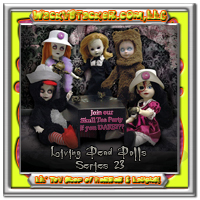 Living Dead Dolls Series 23 Twenty Three Arsenic Tea Party Living Dead Dolls at WackyStacker.com of Horror & Laughs! The Living Dead Dolls Series 23 these little terrors with a fancy a cup of tea, with a twist of terror and a pinch of arsenic. 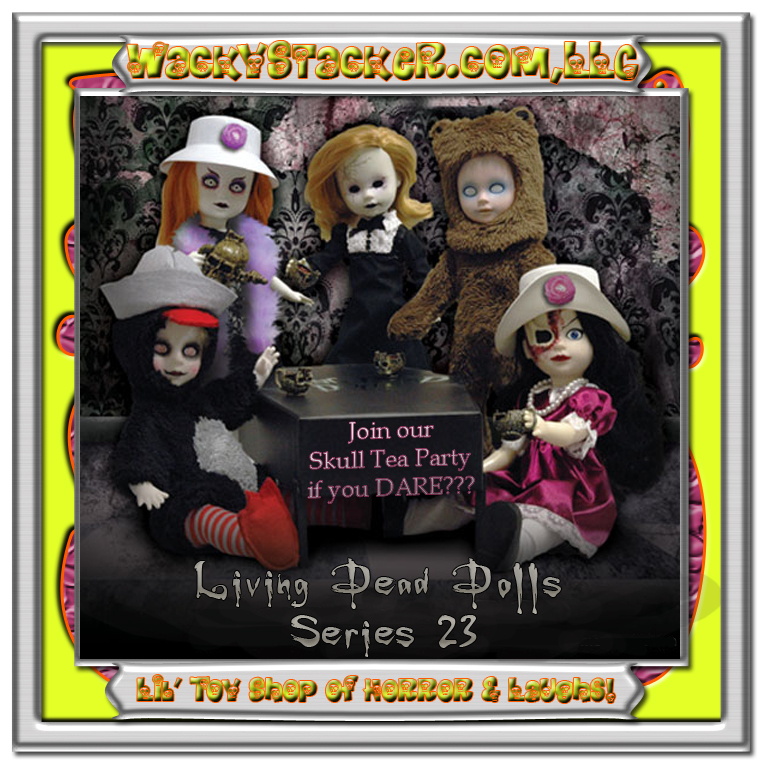 They invite you to come play �tea party�, each comes with their own skull shaped tea cup except for Betsy, who comes with a skull shaped teapot with removable lid. Of course one can�t have a tea party without a table, so each doll with a tea cup also comes with a table leg. Snap the legs onto a Living Dead Doll coffin lid and you have the perfect tea table for a party beneath the moonlight�just watch out for the taste of almonds.